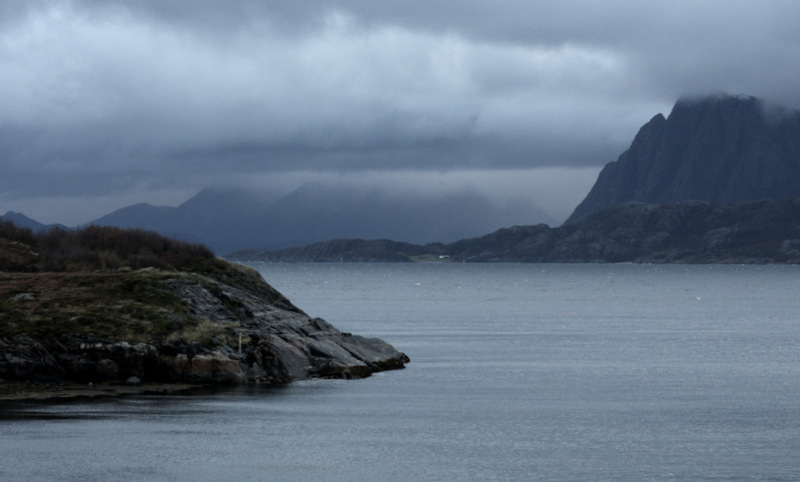 “There is no bad weather, only bad clothing,” goes a popular Norwegian saying. The weather sure has been bad. It’s been 3 weeks since the autumn rain started, and it has rained every day. 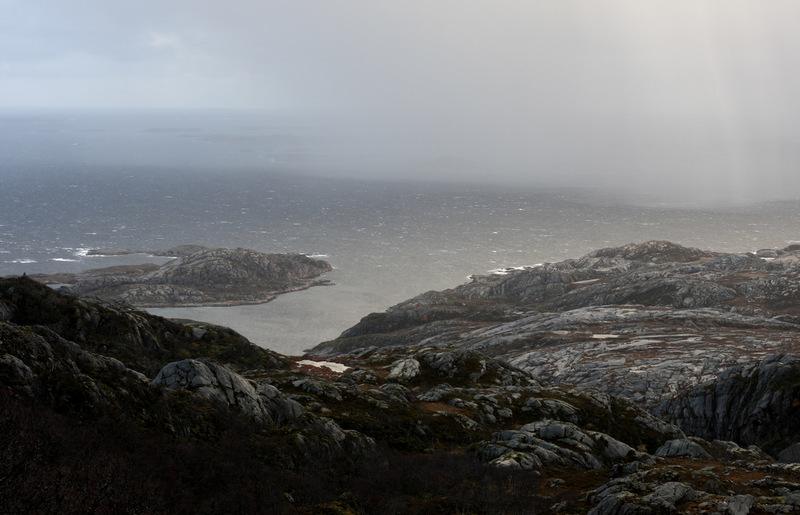 Today we had 40 mile-a-hour wind and hail. But we braved this weather like true Vikings. We traveled by fast ferry and then bus to Mo-i-Rana, the largest city in this region. The whole family hiked to a beach last weekend. Kristin and the medical intern on the island swam in the bay below us, and I continue to trek the mountains here twice a week. 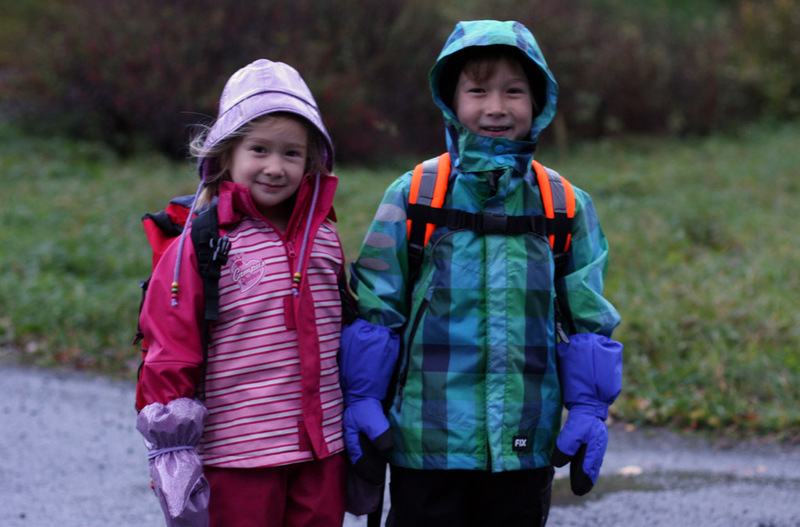 The children play outside everyday in school, regardless the weather, and they’re required to bring rain gear to school. In our pre-school in Boston, this would be unthinkable. The Norwegian attitude about being outdoors in all weather conditions may sound foolish for Americans, but no doubt it’s the reason behind this country of 4.7 million winning more Winter Olympic medals than any other country. I, for one, dig this foolish attitude. In Boston, everyone complains about the cold and the snow in the winter. What a tough way to live, if you live one quarter of your life in misery! Half of happiness is attitude. Right after a big snow storm in Boston, our kids nags us to go out and play in the snow. And yes, gear is important. One of Marcus’s playmates used to hate being outside in the winter until we talked to her parents about long woolen underwear. So perhaps, it’s not just bad clothing that makes the weather bad. It’s the bad attitude. I admire the true Norwegian in you. As yo say, attitude is everything! Among all places, I remember Chicago as the coldest. The hawk: bitterly cold wind blasting among tall buildings, invading your bones. Let’s compare notes in January! I have long felt that way, that most weather should be embraced. But few people agree. It is nice to know an entire country agrees! We had to adjust here to people ignoring rain. Generally we get heaviest (and it is heavy) rain in summer and we were shocked to see people walking leisurely from place to place… just getting wet. We still had the English mentality of ‘cover and run’ or wait it out somewhere cosy. It took a few years before we realised that when it is 30 degrees, it doesn’t matter if you get wet as you’ll just get dry again and in the meantime it is cool. The freedom from fearing raindrops! Your photos are breath-taking! And I will always carry the legacy of the Botnen-Chen embrace of winter. For someone from southern California, it changed everything! Thanks Paige. I see from your blog that there’s a bit of rain in Paris, too! Paris has a lot more places where you can duck out the rain, however. 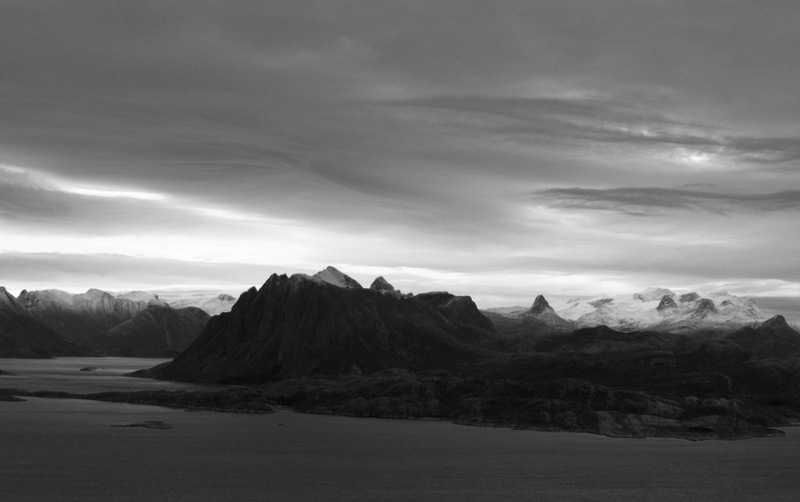 And after reading this post I belive in you – VIKINGS OF NORWAY – and wish you to keep your sunny mood even after this Winter Day of Norway on the 22nd of October. Ice swimming! Sometime in my past I heard of a group called the Polar Bear Club, which is all about swimming in icy water in the winter. Good stuff. 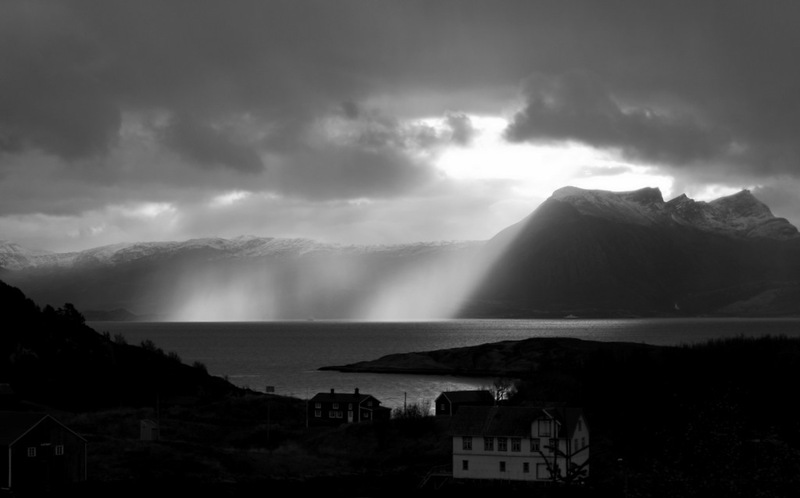 One of the things i miss most about Rødøy is actually the bad weather. It’s such a great sensation to get inside a warm house after you’ve been out for a walk in a snowstorm. And there’s nothing quite like lying in a warm bed when you can hear that the storm is raging outside. I completely agree. And sitting around a fireplace while it’s snowing outside. Or sleeping in a tent when it’s raining buckets. I don’t know what it is about people. What other animals would do that!